Been too long since the last post, but a lot has happened so I’ll do my best to catch up. Last update was in April when the caddis started hatching and they did so for several weeks. 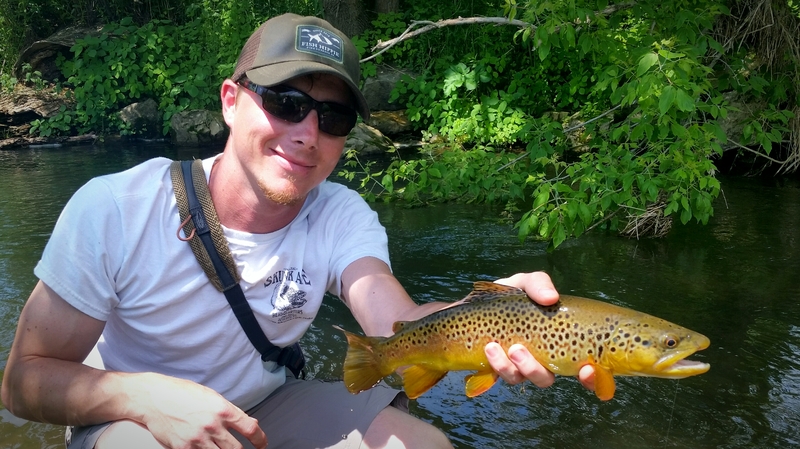 Surface and sub-surface caddis patterns provided some of the best hatch fishing of the year. Fish come out of hiding and wait near riffles for the emerging caddis making them more vulnerable to anglers. 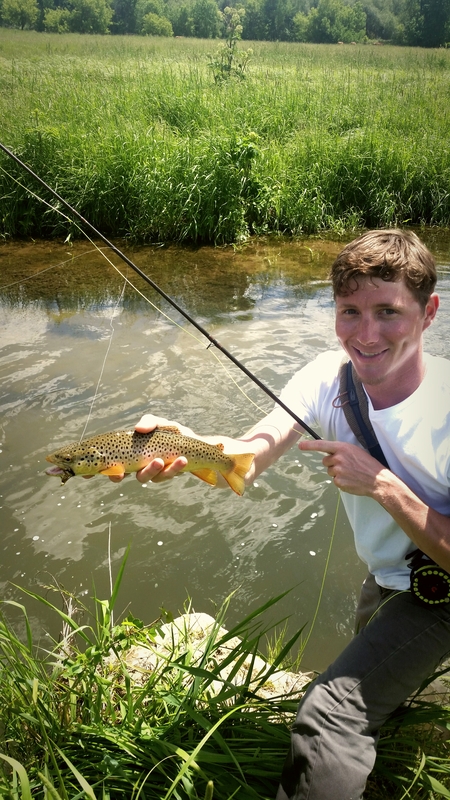 The caddis fishing in the driftless winds down just as the terrestrials start coming into play. First, the ants and beetles get some attention, followed by smaller hoppers. From my experience the large hopper patterns don’t get a lot of action until later in the summer. Last fall my beautiful lady of ten years and I got engaged, and it really was her idea to get married in the driftless area at an amazing place called Justin Trails. 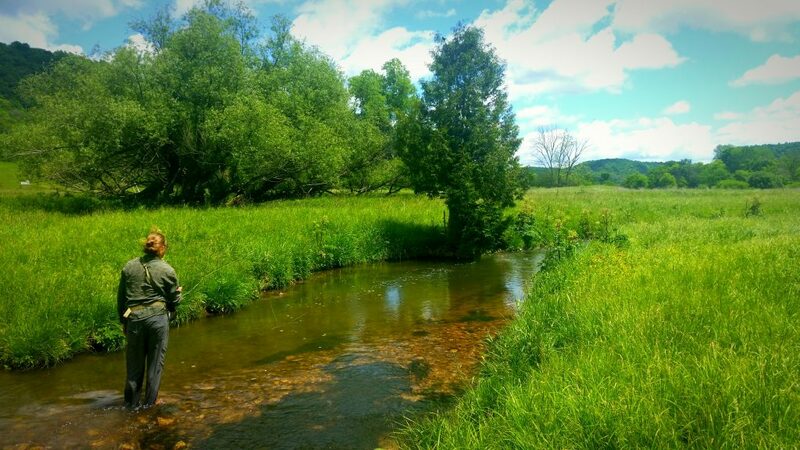 This farm resort speaks to our personalities with a beautifully updated barn for events, 36 holes of professional disc golf, hiking, camping, and it also happens to be only a short drive from some amazing fishing. 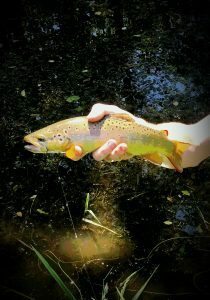 To the south are countless miles of public trout water. To the north and west, there’s larger lakes and rivers such as the Mississippi and Black rivers that also provide some great angling opportunities. As lucky as I am she did say “I do” and, I even got to go fishing! Jaws and I had some fun making really tight casts under overhanging trees where we could hear the occasional “gulp” of a trout feeding on the bugs falling from the trees. 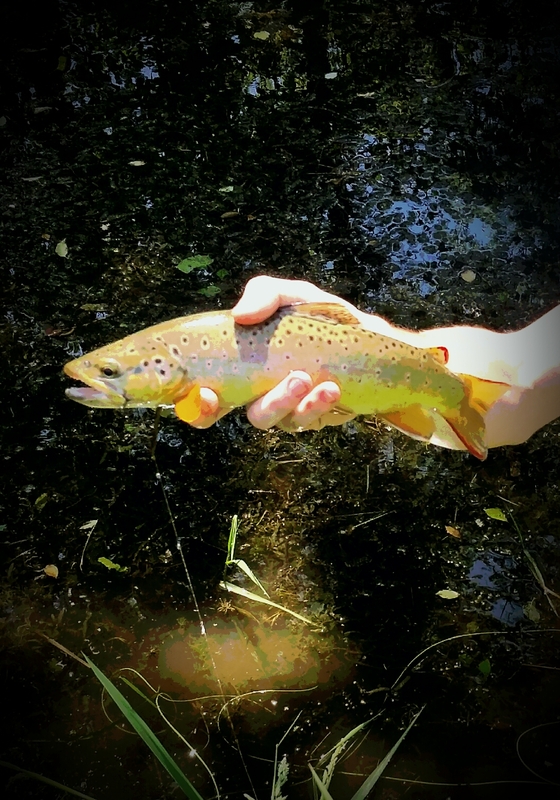 It was some of the most technical trout fishing I have done, but when your fly landed tight to the bank under the trees you would likely be rewarded. 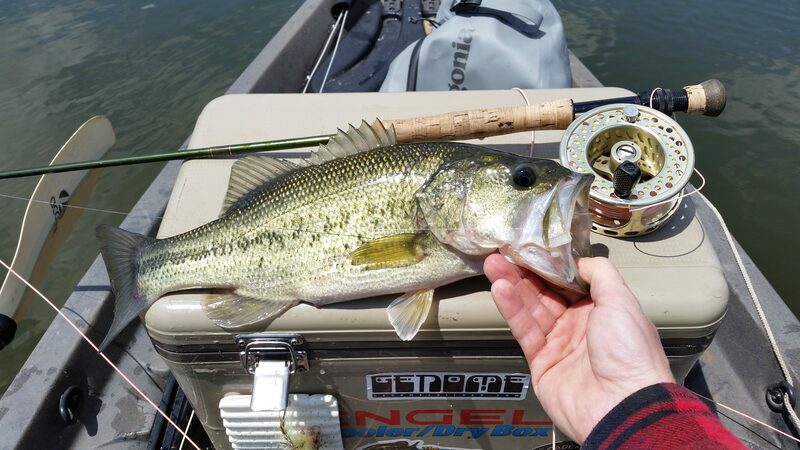 All trout aside, the bass fishing started out pretty hot in early May. I had a couple days of good streamer and top-water fishing before the spawn funk began. 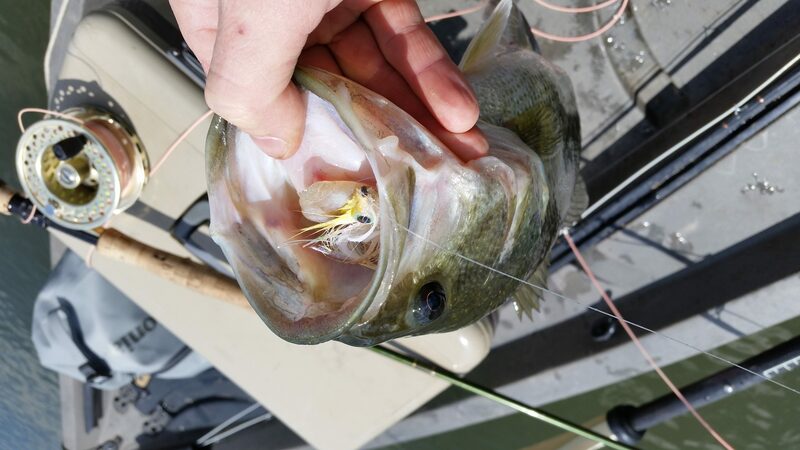 Every lake and river has its own conditions to factor in during spawn time. Temperature and light penetration seem to be the biggest factors. Depending on the depth and type of lake or river this could happen anywhere from mid May until mid to late June. The important thing to remember is that the fish do shut down during this spawn period. You can still find smaller fish that aren’t breeding yet, or you could harass the fish protecting their beds, but I think the best idea is to find another lake with different conditions with more active fish. 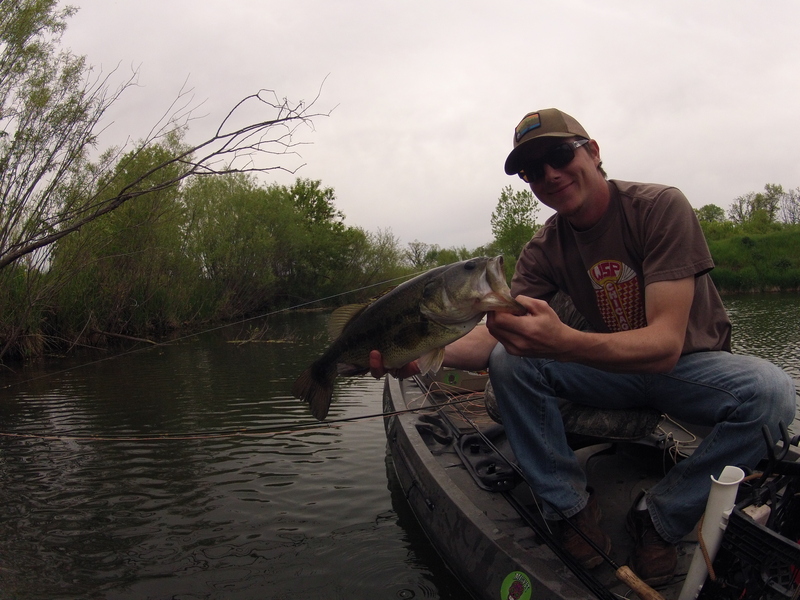 The good news is that on most lakes and rivers where I fish the spawn has come and gone. I noticed most bass in my local waters spawned around the first couple weeks of June and they seem to be back to feeding.